We are looking for experienced Superintendents who are responsible and able to control commercial Ground-Up and Tenant Improvement (T.I.) projects; predominately restaurants. Reviewing permitted drawings, designer drawings, and implementing direction in the field on site. Understanding of each subcontracted trade to field questions and provide instructions on site based upon the project data provided. Ability to identify potential issues pertaining to existing conditions that do not match up with the design intent. 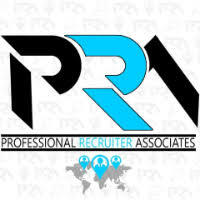 For immediate consideration, please forward a copy of your current resume to info@profrecruiters.com referencing job #1758 or a link to this job.